It seems that Syria is back online today after a days worth of internet downtime. According to Syria's government-run news services the down time was due to fibre optic cables failing, but it's more likely that the government chose to shut off the internet as a way of silencing the people fighting for freedom from the Assad regime. Blackberry's first big update to their new operating system is live in some parts of the world. You can get BB10.1 on your Q10 right now if you're in Oman or the Philippines and we can expect a wider roll out soon! Acer Russia have confirmed the launch date of the 8" Iconia W3 as the 4th of June! Fusion-IO will have a new CEO and CMO after Flynn and White stepped down from their positions today to "pursue entrepreneurial investing activities" elsewhere! Google Glass may not be shipping to customers until 2014, but the rumours that Google will launch a set of their own branded stores here and there which will sell purely Glass headsets. This is only a rumour at the moment, but it would make sense to put a pop-up store in a Best-Buy or something like that! 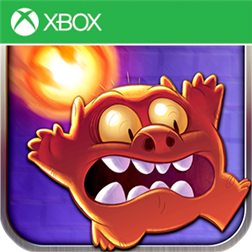 There's a new game called Monster Burner available on Windows Phone 7 and 8 today! The game is free and it seems quite fun after a few minutes play, it's free anyway and you can get it here! Sharp are rumoured to start production of the next iPhone screens this July. We expect the resolution of the screens to be the same as they are currently, but there will probably be some better tech in there! EVLeaks are at it again with the leak of the Nokia Asha 501, which you can see in the tweet below! The guys at EVLeaks also believe that there are more colour options on the way for Motorola's handsets! Check out the Tweet below for full details!